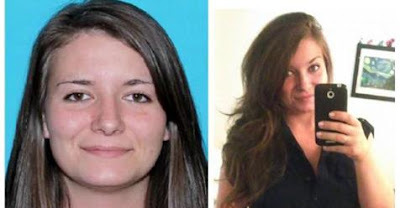 The missing persons case for 27 year old Kenmore woman Jamie Haggard has turned into a murder investigation with the recent discovery of her body in Snohomish county. The remains of the mother of two, missing for two years, was found near Downes Road and Fales Road near Snohomish, WA on May 9, 2018 and recently identified by the Snohomish County ME’s Office as Jamie C. Haggard. The King County Sheriff’s Office released a statement saying that "This is an ongoing active murder investigation. Detectives are interviewing witnesses, collecting evidence and reviewing evidence for DNA analysis." Anyone with information pertaining to the death of Jamie Haggard is encouraged to call the King County Sheriff’s Office at 206-296-3311. "We want people to remember what her story was. We believe somebody out there knows. Somebody was maybe there that night. Somebody knows what happened maybe a few days before the incident, maybe the day of the incident, maybe they weren't comfortable at the time to report it, but maybe they've changed their minds since then. "We truly believe somebody out there knows what happened to Jamie," said King County Sheriff's Det. Jessica Santos.